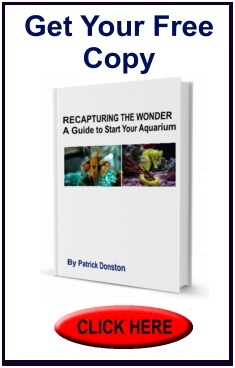 LOOKING TO BUY A REEF AQUARIUM OR LIVE CORAL IN NEW JERSEY? 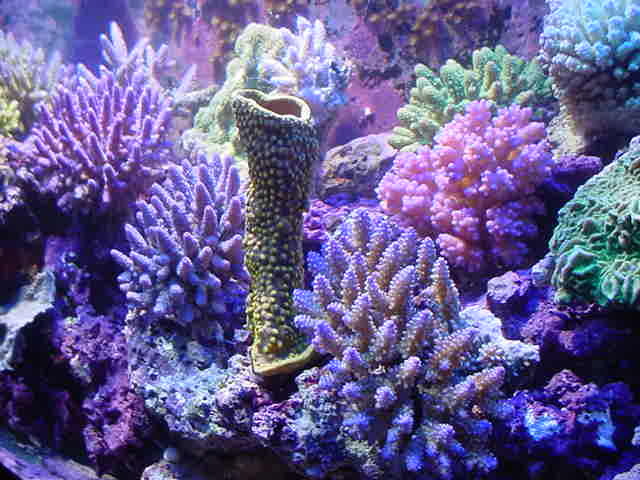 Reef aquariums are saltwater habitats containing live corals and other invertebrate marine life. Reef aquariums with live coral require care and time in order to create a thriving reef aquarium environment. Live rock, specialized equipment, and other supplies make it easy to keep stable water chemistry conducive to reef growth. Looking for reef aquariums & live coral? Choosing a reef aquarium with live coral means choosing to take an active role in the upkeep and maintenance of the environment. Properly balanced and maintained levels of calcium carbonate and pH are essential to the growth and vitality of reef ecosystems containing live coral. There are automated methods for regulating these levels, but most will require manual observation, testing and regulation. Many reef keepers relish the hands-on approach to keeping their aquarium environments stable and healthy. In most cases, pre-filtered water (reverse osmosis) will be needed as tap water has too many contaminants. Careful attention must also be paid to filtration and water flow systems. The use of live rock for biological filtration augmented with deep sand beds and protein skimmers are successful, proven strategies. Another possible filtration method is a refugium, using microalgae and/or macroalgae to remove excess nutrients and provide a natural food source. The use of proper lighting is key to success of any reef ecosystem. Coral are photosynthetic animals containing a symbiotic algae within their tissues. This symbiotic process converts light energy to glucose, much needed energy source for corals to grow and thrive. Today there are many options of light to choose from for your reef aquarium. 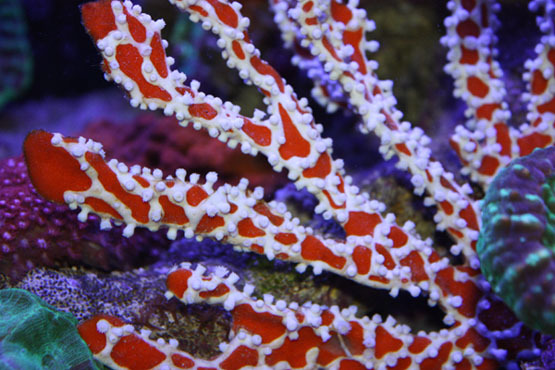 LED is the most popular lighting for your coral reef tank. LED lighting for your reef aquarium offers adjustable spectrums, built in timers, and no bulbs to change over the lifespan of your fixture. Another economical choice for reef aquarium lighting is T-5 lighting. T-5’s are very popular, offering many bulb varieties and that are very efficient. Unlike LED’s, you will need to change the T-5 bulbs in your saltwater tank bulbs every nine months to a year. Proper water flow in your reef aquarium is essential to keeping a realistic environment conducive to growth. A water flow of ten times the aquarium capacity is generally recommended for a healthy saltwater reef aquarium. Specific habitats (Atolls) and different types of coral (Stony) may require more flow. For example, corals that typically occur in breaking waves may require water flow 30 to 40 times of tank capacity. Water flow in live coral displays are achieved through a variety of methods including power heads, oscillators, and closed loop systems. Reef environments are self-contained ecosystems and new additions must be carefully chosen. Fish, coral frags and other invertebrates living in a home reef must be able to cohabitate. They must be compatible with one another or the balance of the environment will be upset. Consulting with a reef aquarium expert in the art and science of fish keeping is the best route to maintaining a healthy and thriving coral reef environment. 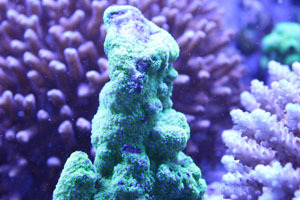 The easiest way to gain experience of reef aquariums is to set up a nano reef (any small aquarium under 30 gallons.). The same techniques as above are utilized economically with success and ease! Smaller fish, coral frags, corallimorphs (mushrooms), zoanthids do incredibly well in these biotopes. We’ve been doing reef aquariums for over 20 years in our New Jersey shop and would love to talk you through it! Looking to Buy a Natural Aquarium?